Bethesda Church, Eau Claire, Wis.
All participants are invited to attend the evening session at no additional charge. To register, email you name, e-mail address, and phone number to Michelle Rayburn (click to create email, or access our contact page to send a message) with “WWCWG Fall Writing Seminar” in the subject line, or call Michelle at 715-967-2920. Brainstorming Strategies for Writer's Nightmares: Writer's block, weak plot, boring characters, and predictable endings are all nightmares writers face. Brainstorming Strategies for Writing Nightmares will give you strategies to apply to these dilemmas. Through workshop instruction and hands-on practice you'll hone your brainstorming prowess. No one should face their writing nightmares alone. Brainstorming Strategies for Writing Nightmares will give you the edge to tackle the impossible. Evening Session (During the 7:00pm Guild Meeting) Brainstorming Conflict in Your Novel: Building conflict in your story is an essential part of writing a strong novel. Without conflict your story will fall flat and readers will put it down to read something else. Through teaching and hands on activities Brainstorming Conflict in Your Novel will show you the three tier framework for conflict and give you strategies to build conflict into your stories. From story twists to character secrets, you’ll be a pro in no time. About Michelle Lim: Author Michelle Lim is the Brainstorming Coach with My Book Therapy Press and President of Minnesota N.I.C.E., a local chapter of American Christian Fiction Writers. Through public speaking and online chats she helps writers discover the revolutionary power of brainstorming to bring new life to their stories. 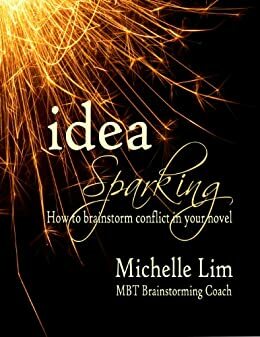 She is the author of Idea Sparking: How to Brainstorm Conflict in Your Novel.